In parliamentary systems fashioned after the Westminster system, the prime minister is the presiding and actual head of government and head of the executive branch. In such systems, the head of state or the head of state's official representative (often the monarch, president, or governor-general) usually holds a largely ceremonial position, although often with reserve powers. In many systems, the prime minister selects and may dismiss other members of the cabinet, and allocates posts to members within the government. In most systems, the prime minister is the presiding member and chairman of the cabinet. In a minority of systems, notably in semi-presidential systems of government, a prime minister is the official who is appointed to manage the civil service and execute the directives of the head of state. The prime minister is often, but not always, a member of the Legislature or the Lower House thereof and is expected with other ministers to ensure the passage of bills through the legislature. In some monarchies the monarch may also exercise executive powers (known as the royal prerogative) that are constitutionally vested in the crown and may be exercised without the approval of parliament. As well as being head of government, a prime minister may have other roles or posts—the Prime Minister of the United Kingdom, for example, is also First Lord of the Treasury and Minister for the Civil Service. Prime ministers may take other ministerial posts. For example, during the Second World War, Winston Churchill was also Minister of Defence (although there was then no Ministry of Defence) and in the current cabinet of Israel, Benjamin Netanyahu at one point served as Minister of Communications, Foreign Affairs, Regional Cooperation, Economy, Defense and Interior. The term prime minister in its French form, premier ministre, is attested in 17th Century sources referring to Cardinal Richelieu after he was named to head the royal council in 1624. The title was however informal and used alongside the equally informal principal ministre d'État ("chief minister of the state") more as a job description. After 1661, Louis XIV and his descendants refused to allow one of their ministers to be more important than the others, so the term was not in use. The term prime minister in the sense that we know it originated in the 18th century in the United Kingdom when members of parliament disparagingly used the title in reference to Sir Robert Walpole. During the whole of the 18th Century, Britain was involved in a prolonged conflict with France, periodically bursting into all-out war, and Britons took outspoken pride in their "Liberty" as contrasted to the "Tyranny" of French Absolute Monarchy; therefore, being implicitly compared with Richelieu was no compliment to Walpole. Over time, however, the title became honorific and remains so in the 21st century. The monarchs of England and the United Kingdom had ministers in whom they placed special trust and who were regarded as the head of the government. Examples were Thomas Cromwell under Henry VIII; William Cecil, Lord Burghley under Elizabeth I; Clarendon under Charles II and Godolphin under Queen Anne. These ministers held a variety of formal posts, but were commonly known as "the minister", the "chief minister", the "first minister" and finally the "prime minister". The power of these ministers depended entirely on the personal favour of the monarch. Although managing the parliament was among the necessary skills of holding high office, they did not depend on a parliamentary majority for their power. Although there was a cabinet, it was appointed entirely by the monarch, and the monarch usually presided over its meetings. When the monarch grew tired of a first minister, he or she could be dismissed, or worse: Cromwell was executed and Clarendon driven into exile when they lost favour. Kings sometimes divided power equally between two or more ministers to prevent one minister from becoming too powerful. Late in Anne's reign, for example, the Tory ministers Harley and Viscount Bolingbroke shared power. In the mid 17th century, after the English Civil War (1642–1651), Parliament strengthened its position relative to the monarch then gained more power through the Glorious Revolution of 1688 and passage of the Bill of Rights in 1689. The monarch could no longer establish any law or impose any tax without its permission and thus the House of Commons became a part of the government. It is at this point that a modern style of prime minister begins to emerge. A tipping point in the evolution of the prime ministership came with the death of Anne in 1714 and the accession of George I to the throne. George spoke no English, spent much of his time at his home in Hanover, and had neither knowledge of, nor interest in, the details of English government. In these circumstances it was inevitable that the king's first minister would become the de facto head of the government. From 1721 this was the Whig politician Robert Walpole, who held office for twenty-one years. Walpole chaired cabinet meetings, appointed all the other ministers, dispensed the royal patronage and packed the House of Commons with his supporters. Under Walpole, the doctrine of cabinet solidarity developed. Walpole required that no minister other than himself have private dealings with the king, and also that when the cabinet had agreed on a policy, all ministers must defend it in public, or resign. As a later prime minister, Lord Melbourne, said, "It matters not what we say, gentlemen, so long as we all say the same thing." Walpole always denied that he was "prime minister", and throughout the 18th century parliamentarians and legal scholars continued to deny that any such position was known to the Constitution. George II and George III made strenuous efforts to reclaim the personal power of the monarch, but the increasing complexity and expense of government meant that a minister who could command the loyalty of the Commons was increasingly necessary. The long tenure of the wartime prime minister William Pitt the Younger (1783–1801), combined with the mental illness of George III, consolidated the power of the post. 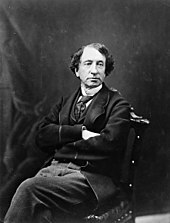 The title was first referred to on government documents during the administration of Benjamin Disraeli but did not appear in the formal British Order of precedence until 1905. The prestige of British institutions in the 19th century and the growth of the British Empire saw the British model of cabinet government, headed by a prime minister, widely copied, both in other European countries and in British colonial territories as they developed self-government. In some places alternative titles such as "premier", "chief minister", "first minister of state", "president of the council" or "chancellor" were adopted, but the essentials of the office were the same. 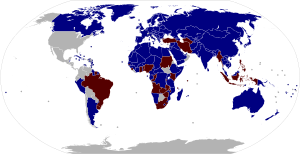 By the late 20th century, the majority of the world's countries had a prime minister or equivalent minister, holding office under either a constitutional monarchy or a ceremonial president. The main exceptions to this system have been the United States and the presidential republics in Latin America modelled on the U.S. system, in which the president directly exercises executive authority. Bahrain's prime minister, Sheikh Khalifah bin Sulman Al Khalifah has been in the post since 1970, making him the longest serving non-elected prime minister. The post of prime minister may be encountered both in constitutional monarchies (such as Belgium, Denmark, Japan, Luxembourg, the Netherlands, Norway, Malaysia, Morocco, Spain, Sweden, Thailand, Canada, Australia, New Zealand, and the United Kingdom), and in parliamentary republics in which the head of state is an elected official (such as Finland, the Czech Republic, France, Greece, Hungary, India, Indonesia (1945-1959), Ireland, Pakistan, Portugal, Montenegro, Croatia, Bulgaria, Romania, Serbia and Turkey (1923-2018)). See also "First Minister", "Premier", "Chief Minister", "Chancellor", "Taoiseach", "Minister of State (Statsminister)", "President of the Government", "President of the Council of Minister" and "Secretary of State": alternative titles usually equivalent in meaning to, or translated as, "prime minister". This contrasts with the presidential system, in which the president (or equivalent) is both the head of state and the head of the government. In some presidential and all semi-presidential systems, such as those of France, Russia or South Korea, the prime minister is an official generally appointed by the president but usually approved by the legislature and responsible for carrying out the directives of the president and managing the civil service. The head of government of the People's Republic of China is referred to as the Premier of the State Council and the premier of the Republic of China (Taiwan) is also appointed by the president, but requires no approval by the legislature. Appointment of the prime minister of France requires no approval by the parliament either, but the parliament may force the resignation of the government. In these systems, it is possible for the president and the prime minister to be from different political parties if the legislature is controlled by a party different from that of the president. When it arises, such a state of affairs is usually referred to as (political) cohabitation. In parliamentary systems a prime minister may enter into office by several means. The head of state appoints a prime minister, of their personal choice: Example: France, where the President has the power to appoint the Prime Minister of their choice, though the National Assembly can force a government to resign, they cannot nominate or appoint a new candidate. While in practice most prime ministers under the Westminster system (including Australia, Canada, New Zealand, Malaysia, India and the United Kingdom) are the leaders of the largest party or coalition in parliament, technically the appointment of the prime minister is a prerogative exercised by the head of state. The head of state nominates a candidate for prime minister who is then submitted to parliament for approval before appointment as prime minister: Example: Spain, where the King sends a nomination to parliament for approval. Also Germany where under the German Basic Law (constitution) the Bundestag votes on a candidate nominated by the federal president. In the Philippines under the 1973 Constitution as amended after martial law, the Prime Minister was elected by the Batasang Pambansâ (Legislature) upon nomination by the President. In these cases, parliament can choose another candidate who then would be appointed by the head of state (or, in the case of the Philippines, outright elect that candidate). Parliament nominates a candidate who the head of state is then constitutionally obliged to appoint as prime minister: Example: Ireland, where the President appoints the Taoiseach on the nomination of Dáil Éireann. Also Japan. Election by the Legislature: Example: The Philippines under the unamended 1973 Constitution, where the prime minister was supposed to be elected by the Batasang Pambansâ; these provisions were never used because the Philippines was under martial law at the time. Also Vanuatu. Direct election by popular vote: Example: Israel, 1996–2001, where the prime minister was elected in a general election, with no regard to political affiliation. 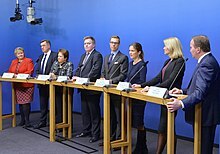 Nomination by a state office holder other than the head of state or his/her representative: Example: Under the modern Swedish Instrument of Government, the power to appoint someone to form a government has been moved from the monarch to the Speaker of Parliament and the parliament itself. The speaker nominates a candidate, who is then elected to prime minister (statsminister) by the parliament if an absolute majority of the members of parliament does not vote no (i.e. he can be elected even if more MP:s vote no than yes). The position, power and status of prime ministers differ depending on the age of the constitution. Australia's constitution makes no mention of a Prime Minister of Australia and the office only exists by convention, based on the British model. Bangladesh's constitution clearly outlines the functions and powers of the Prime Minister, and also details the process of his/her appointment and dismissal. The People's Republic of China constitution set a premier just one place below the National People's Congress in China. Premier read as (Simplified Chinese: 总理; pinyin: Zŏnglĭ) in Chinese. Canada's constitution, being a 'mixed' or hybrid constitution (a constitution that is partly formally codified and partly uncodified) originally did not make any reference whatsoever to a prime minister, with her or his specific duties and method of appointment instead dictated by "convention". In the Constitution Act, 1982, passing reference to a "Prime Minister of Canada" is added, though only regarding the composition of conferences of federal and provincial first ministers. Czech Republic's constitution clearly outlines the functions and powers of the Prime Minister of the Czech Republic, and also details the process of his/her appointment and dismissal. France's constitution (1958) lists the powers, functions and duties of the Prime Minister of France. Greece's constitution (1975) lists the powers, functions and duties of the Prime Minister of Greece. Hungary's constitution (2012) lists the powers, functions and duties of the Prime Minister of Hungary. India's constitution (1950) lists the powers, functions and duties of the Prime Minister of India. In India, the Prime Ministerial candidate must be a member of parliament either Lok Sabha (Lower House) or Rajya Sabha (Upper House). No parliamentary vote takes place on who is forming a government. Ireland's constitution (1937), provides for the office of Taoiseach in detail, listing powers, functions and duties. Italy's constitution (1948) lists the powers, functions and duties of the President of the Council of Ministers. Japan's constitution (1946) lists the powers, functions and duties of the Prime Minister of Japan. The Republic of Korea's constitution (1987) sections 86-87 list the powers, functions and duties of the Prime Minister of the Republic of Korea. Malta's constitution (1964) lists the powers, functions and duties of the Prime Minister of Malta. Malaysia's constitution (1957) lists the powers, functions and duties of the Prime Minister of Malaysia. Pakistan's constitution (1973) lists the powers, functions and duties of the Prime Minister of Pakistan. Spain's constitution (1978) regulates the appointment, dismissal, powers, functions and duties of the President of the Government. Thailand's constitution (1932) lists the powers, functions and duties of the Prime Minister of Thailand. Taiwan's constitution (1946) lists the powers, functions and duties of the President of the Executive Yuan. The United Kingdom's constitution, being uncodified and largely unwritten, makes no mention of a prime minister. Though it had de facto existed for centuries, its first mention in official state documents did not occur until the first decade of the twentieth century. Accordingly, it is often said "not to exist", indeed there are several instances of parliament declaring this to be the case. 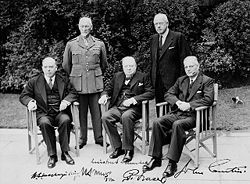 The prime minister sits in the cabinet solely by virtue of occupying another office, either First Lord of the Treasury (office in commission), or more rarely Chancellor of the Exchequer (the last of whom was Balfour in 1905). However as the government will have to outline its legislative programme to parliament in, for example, the Speech from the Throne, the speech is sometimes used to test parliamentary support. A defeat of the Speech is taken to mean a loss of confidence and so requires either a new draft, resignation, or a request for a dissolution of parliament. Until the early 20th century governments when defeated in a general election remained in power until their Speech from the Throne was defeated and then resigned. No government has done so for one hundred years, though Edward Heath in 1974 did delay his resignation while he explored whether he could form a government with Liberal party support. In such systems unwritten (and unenforceable) constitutional conventions often outline the order in which people are asked to form a government. If the prime minister resigns after a general election, the monarch usually asks the leader of the opposition to form a government. Where however a resignation occurs during a parliament session (unless the government has itself collapsed) the monarch will ask another member of the government to form a government. While previously the monarch had some leeway in whom to ask, all British political parties now elect their leaders (until 1965 the Conservatives chose their leader by informal consultation). The last time the monarch had a choice over the appointment occurred in 1963 when the Earl of Home was asked to become Prime Minister ahead of Rab Butler. During the period between the time it is clear that the incumbent government has been defeated at a general election, and the actual swearing-in of the new prime minister by the monarch, governor-general, or president, that person is referred to as the "prime minister-elect" or "prime minister-designate". Neither term is strictly correct from a constitutional point of view, but they have wide acceptance. In a situation in which a ruling party elects or appoints a new leader, the incoming leader will usually be referred as "prime minister-in-waiting". An example or this situation was in 2016 in the United Kingdom when Theresa May was elected leader of the Conservative Party while David Cameron was still prime minister. Ukraine's constitution (1996) lists the powers, functions and duties of the Prime Minister of Ukraine. Most prime ministers in parliamentary systems are not appointed for a specific term in office and in effect may remain in power through a number of elections and parliaments. For example, Margaret Thatcher was only ever appointed prime minister on one occasion, in 1979. She remained continuously in power until 1990, though she used the assembly of each House of Commons after a general election to reshuffle her cabinet. Some states, however, do have a term of office of the prime minister linked to the period in office of the parliament. Hence the Irish Taoiseach is formally 'renominated' after every general election. (Some constitutional experts have questioned whether this process is actually in keeping with the provisions of the Irish constitution, which appear to suggest that a taoiseach should remain in office, without the requirement of a renomination, unless s/he has clearly lost the general election.) The position of prime minister is normally chosen from the political party that commands majority of seats in the lower house of parliament. a request for parliamentary dissolution. The latter in effect allows the government to appeal the opposition of parliament to the electorate. However, in many jurisdictions a head of state may refuse a parliamentary dissolution, requiring the resignation of the prime minister and his or her government. In most modern parliamentary systems, the prime minister is the person who decides when to request a parliamentary dissolution. Older constitutions often vest this power in the cabinet. In the United Kingdom, for example, the tradition whereby it is the prime minister who requests a dissolution of parliament dates back to 1918. Prior to then, it was the entire government that made the request. Similarly, though the modern 1937 Irish constitution grants to the Taoiseach the right to make the request, the earlier 1922 Irish Free State Constitution vested the power in the Executive Council (the then name for the Irish cabinet). In Australia, the Prime Minister is expected to step down if s/he loses the majority support of his/her party under a spill motion as have many such as Tony Abbott, Julia Gillard, Kevin Rudd and Malcolm Turnbull. In the Russian constitution the prime minister is actually titled Chairman of the government while the Irish prime minister is called the Taoiseach (which is rendered into English as prime minister), and in Israel he is Rosh HaMemshalah meaning "head of the government". In many cases, though commonly used, "prime minister" is not the official title of the office-holder; the Spanish prime minister is the President of the Government (Presidente del Gobierno). Other common forms include president of the council of ministers (for example in Italy, Presidente del Consiglio dei Ministri), President of the Executive Council, or Minister-President. In the Nordic countries the prime minister is called Statsminister, meaning "Minister of State". In federations, the head of government of subnational entities such as provinces is most commonly known as the premier, chief minister, governor or minister-president. The convention in the English language is to call nearly all national heads of government "prime minister" (sometimes modified to the equivalent term of "premier") except in the cases where the head of state and head of government are fused into one position, usually a presidency, regardless of the correct title of the head of government as applied in his or her respective country. The few exceptions to the rule are Germany and Austria, whose heads of government titles are almost always translated as Chancellor; Monaco, whose head of government is referred to as the Minister of State; and Vatican City, for which the head of government is titled the Secretary of State. In the case of Ireland, the head of government is occasionally referred to as the Taoiseach by English speakers. A stand-out case is the President of Iran, who is not actually a head of state, but the head of the government of Iran. He is referred to as "president" in both the Persian and English languages. In non-Commonwealth countries the prime minister may be entitled to the style of Excellency like a president. In some Commonwealth countries prime ministers and former prime ministers are styled Right Honourable due to their position, for example in the Prime Minister of Canada. In the United Kingdom the prime minister and former prime ministers may appear to also be styled Right Honourable, however this is not due to their position as head of government but as a privilege of being current members of Her Majesty's Most Honourable Privy Council. In the UK, where devolved government is in place, the leaders of the Scottish, Northern Irish and Welsh Governments are styled First Minister. Between 1921 and 1972, when Northern Ireland was a Majority Rule Parliament the head of government would be known as the Prime Minister of Northern Ireland. In India, the Prime Minister is called 'Pradhan Mantri' meanung the Pime Minister. In Pakistan, the prime minister is referred to as Wazir-e-Azam, meaning "Grand Vizier". The Prime Minister's executive office is usually called the Office of the Prime Minister in the case of the Canada and other Commonwealth countries, it is called Cabinet Office in United Kingdom. Some Prime Minister's office do include the role of Cabinet. In other countries, it is called the Prime Minister's Department or the Department of the Prime Minister and Cabinet as for Australia. In Israel, the Prime Minister's executive office is officially titled the "Prime Minister's Office" in English, but the original Hebrew term can also be translated as the Prime Minister's Ministry. First of all the Prime Minister must listen a lot, and when deep disagreements occur, he must suggest a solution to the matter. This can be done in different ways. Sometimes during the discussion, I note the elements of the problem and think of a proposal I can formulate to the Council (cabinet), the Secretary taking notes. The Ministers then insist on changing game ages. The Prime Minister can also make a proposal which leaves enough room for amendments in order to keep the current discussion on the right tracks. When a solution must be found in order to reach a consensus, he can force one or two Ministers to join or resign. For a more comprehensive list, see List of current prime ministers. ^ Contrary to popular perception, the two posts are separate and need not be held by the one person. The last prime minister not to be First Lord of the Treasury was Lord Salisbury at the turn of the 20th century. 10 Downing Street is actually the First Lord's residence, not the Prime Minister's. As Salisbury was not First Lord, he had to live elsewhere as prime minister. ^ "Testament Politique du Cardinal Duc de Richelieu, Premier Ministre de France sous le Règne de Louïs XIII". Archived from the original on 2017-08-08. Retrieved 2017-06-16. ^ "Oxford English Dictionary". Retrieved 15 December 2014. ^ "Britain's unwritten constitution". British Library. Archived from the original on 2015-12-08. Retrieved 27 November 2015. The key landmark is the Bill of Rights (1689), which established the supremacy of Parliament over the Crown.... The Bill of Rights (1689) then settled the primacy of Parliament over the monarch’s prerogatives, providing for the regular meeting of Parliament, free elections to the Commons, free speech in parliamentary debates, and some basic human rights, most famously freedom from ‘cruel or unusual punishment’. ^ Dr Andrew Blick and Professor George Jones — No 10 guest historian series, Prime Ministers and No. 10 (1 January 2012). "The Institution of Prime Minister". Government of the United Kingdom: History of Government Blog. Archived from the original on 2016-03-10. Retrieved 15 April 2016. ^ Carter, Byrum E. (2015) . "The Historical Development of the Office of Prime Minister". Office of the Prime Minister. Princeton University Press. ISBN 9781400878260. Archived from the original on 2016-06-01. Retrieved 2016-04-15. ^ Seidle, F. Leslie; Docherty, David C. (2003). Reforming parliamentary democracy. McGill-Queen's University Press. p. 3. ISBN 9780773525085. Archived from the original on 2016-06-23. Retrieved 2016-04-23. ^ Johnston, Douglas M.; Reisman, W. Michael (2008). The Historical Foundations of World Order. Leiden: Martinus Nijhoff Publishers. p. 571. ISBN 9047423933. Archived from the original on 2016-03-03. Retrieved 2016-02-27. ^ Fieldhouse, David; Madden, Frederick (1990). Settler self-government, 1840-1900 : the development of representative and responsible government (1. publ. ed.). New York: Greenwood Press. p. xxi. ISBN 9780313273261. Archived from the original on 2016-03-04. Retrieved 2016-02-27. ^ Julian Go (2007). "A Globalizing Constitutionalism?, Views from the Postcolony, 1945-2000". In Arjomand, Saïd Amir (ed.). Constitutionalism and political reconstruction. Brill. pp. 92–94. ISBN 9004151745. Archived from the original on 2016-03-06. Retrieved 2016-02-27. ^ "How the Westminster Parliamentary System was exported around the World". University of Cambridge. 2 December 2013. Archived from the original on 2013-12-16. Retrieved 16 December 2013. ^ "Privy Council Members". The Privy Council Office. Archived from the original on 2009-09-25. Retrieved 19 Sep 2009.